Well, I haven't gotten very far with the grey/red pattern... 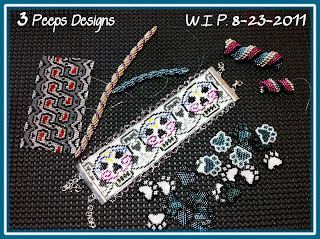 I like the pattern but one of the cats sat on my bead tray and now I need to sort the beads and get back to it. 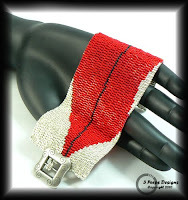 The Sugar Skulls Cuff is loomed and I finished it up this morning. 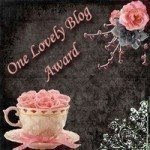 I like my new pattern very much and it will eventually show up in my 3PeepsDesignsToo pattern shop. 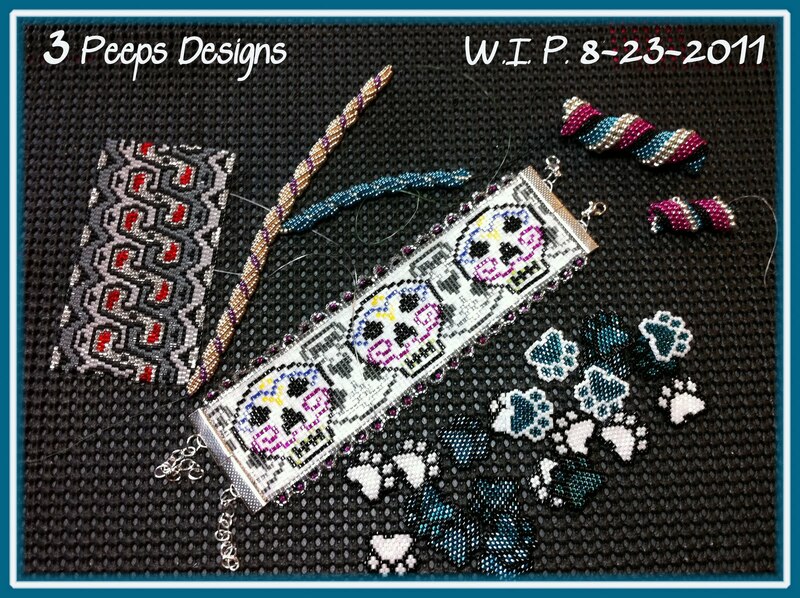 I plan to do another loomed Sugar Skulls cuff and attach it to leather. The paw prints are still waiting to be attached to leather or suede and made into a bracelet. And I am teaching myself some new stitches... the beaded spiral and the Cellini spiral aka peyote spiral. So many ideas, so little time.